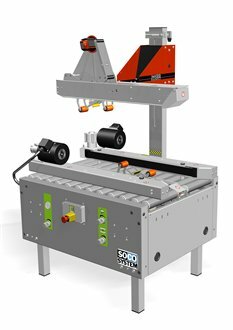 The Goliath range of medium and high speed case sealing equipment is designed to reliably close, seal & protect your product at speeds of up to 20 random cases per minute! Capable of handling the complete spectrum of case types & sizes, Goliath offers tape and glue sealing as standard to securely protect your product during storage and transport to ensure ‘best condition’ delivery to your customers. The Goliath Sealing programme consists of semi & fully automatic options to suit your particular requirements, preferred degree of operator involvement and available budget. 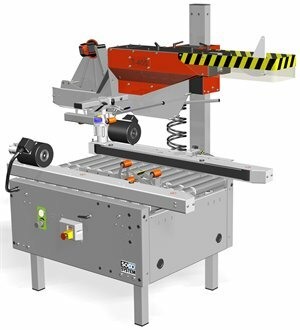 Automatic Case Sealing – Designed for production runs of random-sized cases with optional top flap closing, bar-code scanning / reject system & random date coding as preferred. 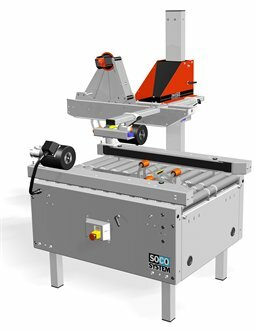 Goliath works with international partner Soco Systems to bring the best sealing solutions to our Irish customers.